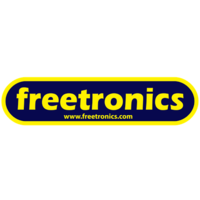 At Little Bird Electronics we love Freetronics. They are Australian designed boards that are of excellent quality and have a fantastic range. We usually have stock of most products but shoot us an email if there is something you are after that is out of stock. Freetronics was created in early 2010 by Practical Arduino co-author Jonathan Oxer and technical reviewer Marc Alexander as a result of a deluge of requests for kits, parts, and other odds and ends relating to the book.